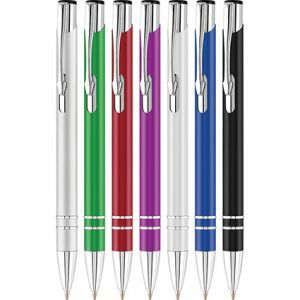 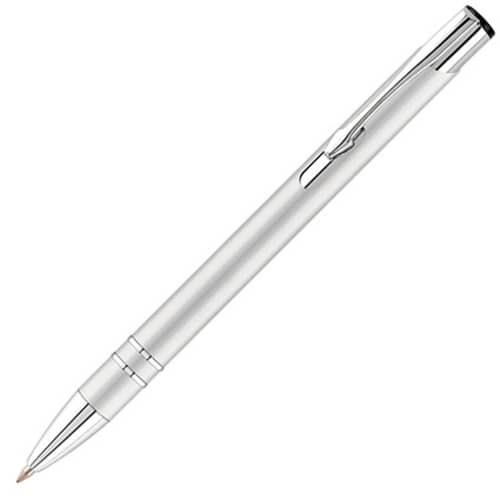 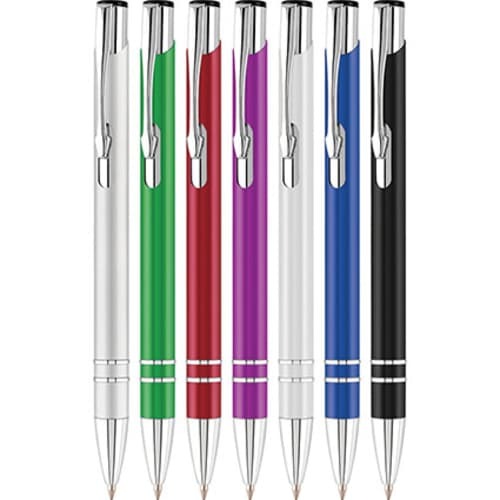 Promotional Electra Enterprise Ballpens made in the style of our best-selling Electra Metal Ballpens but made from composite material to give the feel and appearance of a metal pen - for a fraction of the price! 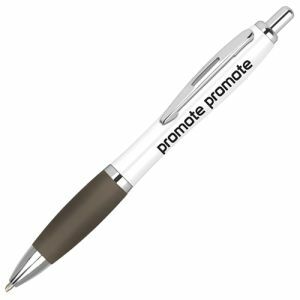 These personalised pens are practical, budget friendly giveaways with a proven popular style. Complete with push-button retractable mechanisms and a choice of colours to suit you. Please note we can only print silver on Blue, Purple or Red pens. 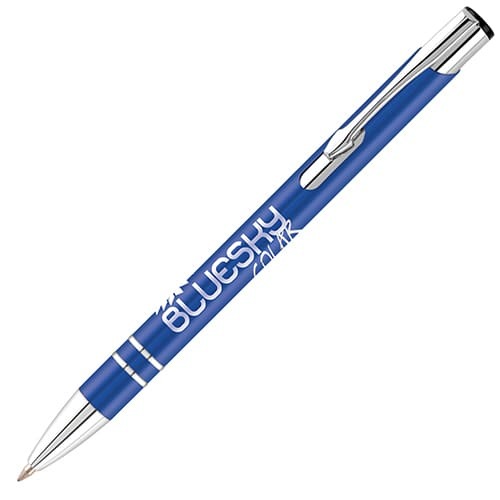 48 hour express dispatch service is for 1 colour print to 1 position up to 5000 units maximum. Prices include a colour personalisation in 1 position as stated. 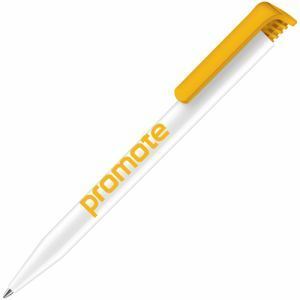 Prices exclude VAT, origination and carriage.